You can’t go wrong with stripes and this is no exception. 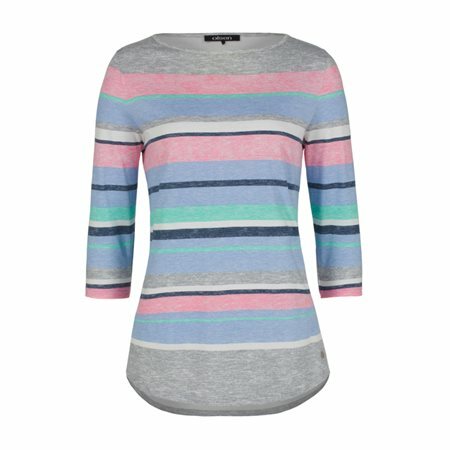 Olsen has added pastel colours to this striped basic top which sets it aside from the rest. This top has mid length sleeves with a rounded hem and looks great when worn casually with jeans or under a denim jacket.